Bradina and the rack section. 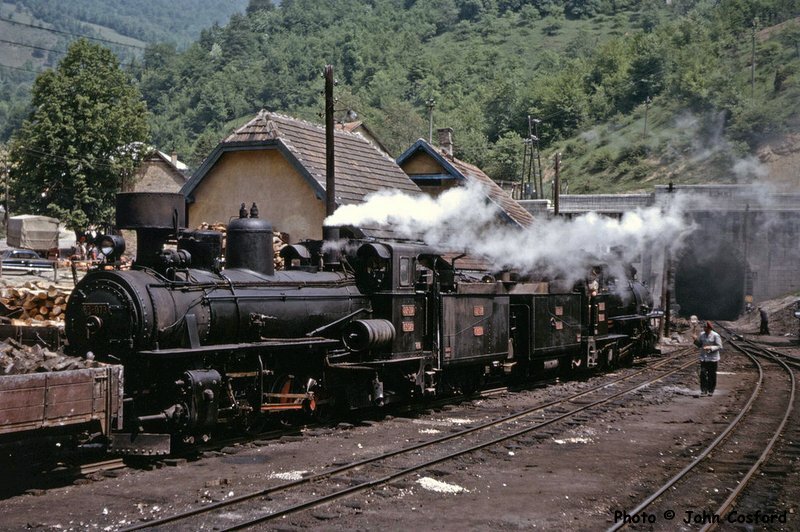 A pair of JŽ class 83 0-8-2s get the all clear to leave Bradina with a freight train to Sarajevo. They are coupled tender-to-tender which was normal practice for double-headed working as it avoiding having to turn the engines. The one nearest to the camera is 83.073 (Krauss Linz/1909). 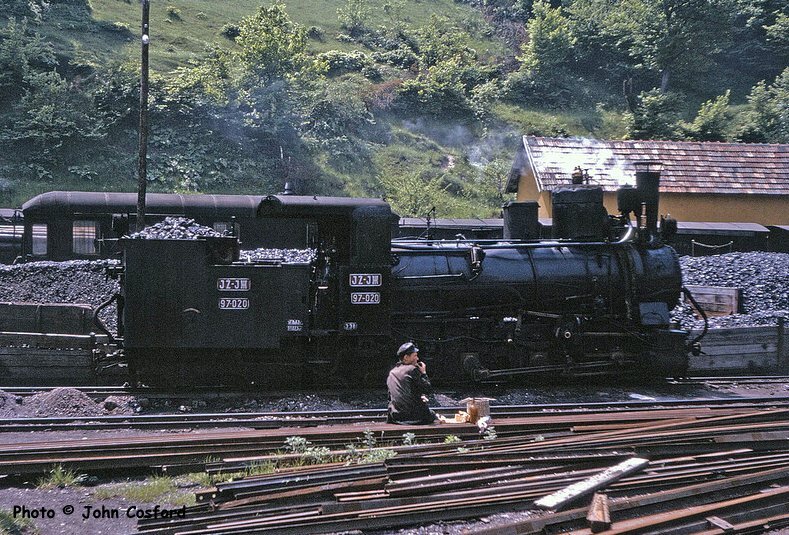 JŽ class 97 0-6+4 rack-and-adhesion engine 97.020 (Floridsdorf/1908) by the coaling stage at Bradina as we emerge from the long tunnel under the Ivan Pass. It looks like one of the crew is having an early lunch. 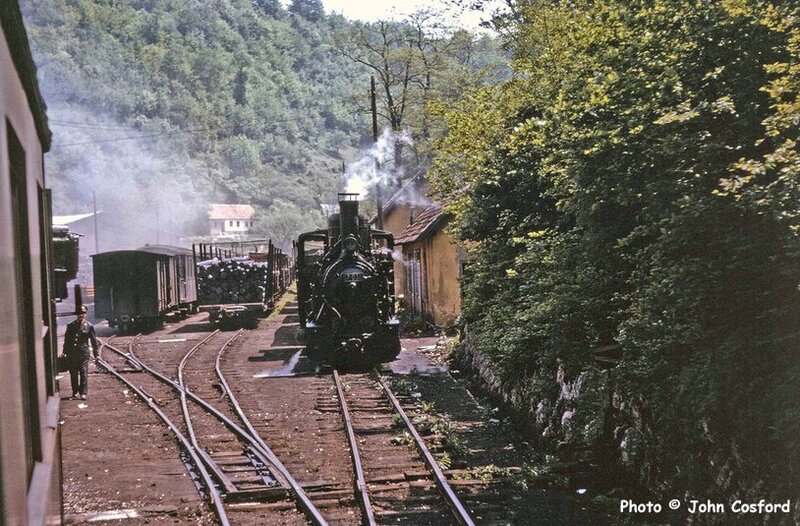 JŽ class 97 0-6+4 rack-and-adhesion engine 97.034 (Floridsdorf/1915) awaits its next turn of duty at Bradina which will be to provide the trailing loco for our descent to Konjic. 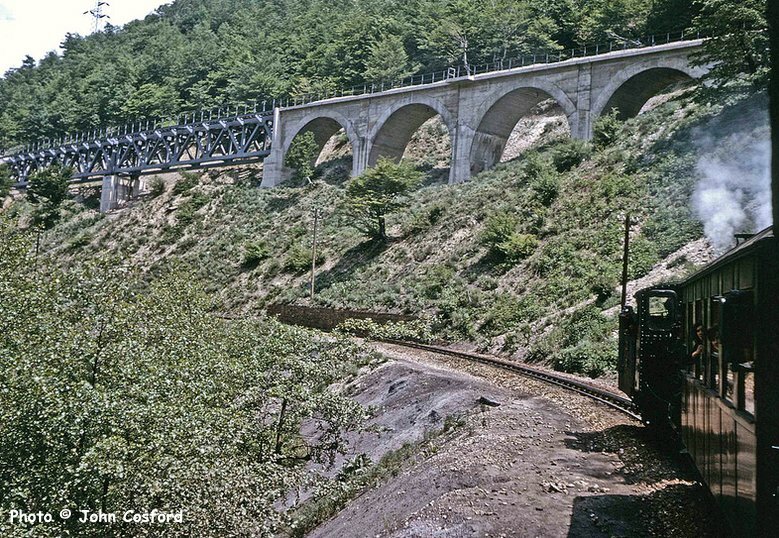 On the 1 in 17 rack section between Bradina and Konjic behind 0-6+4 rack-and-adhesion engine 97.024 (Floridsdorf/1911). Our train continues to slowly descend the 1 in 17 rack section behind 0-6+4 rack-and-adhesion engine 97.024 (Floridsdorf/1911). 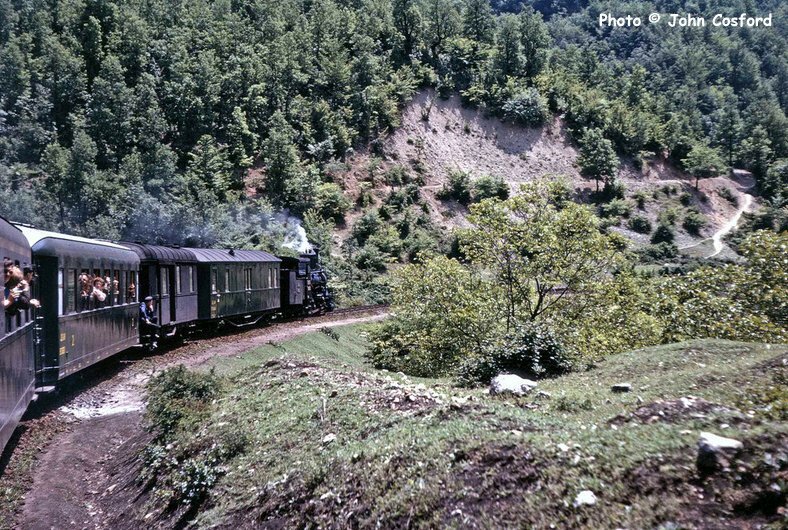 Although the distance between Bradina and Konjic was only 13km, the time allowed was 54 minutes including engine changes! The passengers in the carriage in front of ours seem fascinated by us British gricers hanging out of the windows with our cameras. 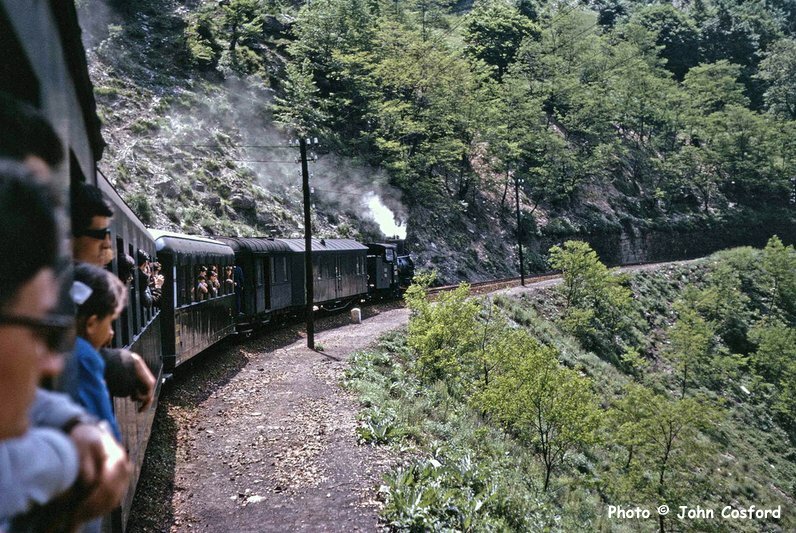 Descending the 1 in 17 rack section below Bradina with 0-6+4 rack-and-adhesion engine 97.034 (Floridsdorf/1915) at the rear of our train. It was normal practice to have a loco at each end of the train on the rack section. The train had been split in half and luckily our part went down the rack section first, possibly because we were in the only first class carriage! The new standard gauge line is under construction above.